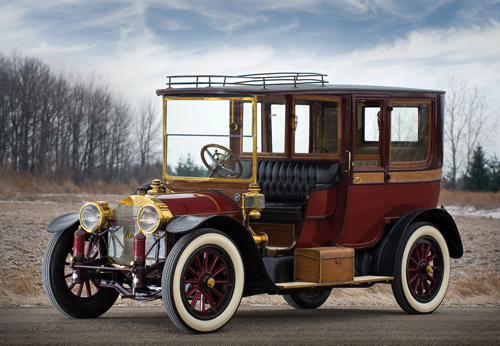 New (old) cars are added to the Coachbuilders Gallery almost daily. To keep you better informed about the updates, we post some of the most interesting cars with the best photo sets on the frontpage. 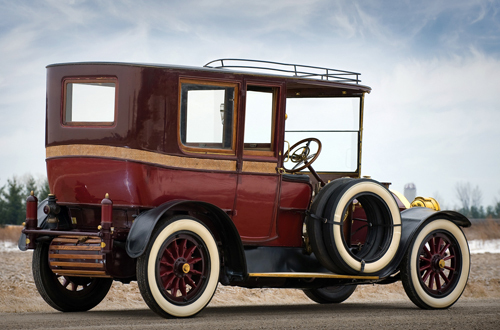 Today's highlight is for the real Vintage lovers: a Mercedes 22/50 PS Town Car with coachwork by Brewster & Co. This Mercedes 22/50 PS (PS is the German abbreviation for horsepower) was imported into the US as a rolling chassis and delivered to the Long Island City facility of Brewster & Co. for the fitting of a Town Car body. Note the typical Brewster patented leather covered fenders. The Mercedes brand was born on request of Emile Jellinek, an Austrian-born entrepreneur and Daimler agent, who delighted in racing cars and lent much to the company's development. 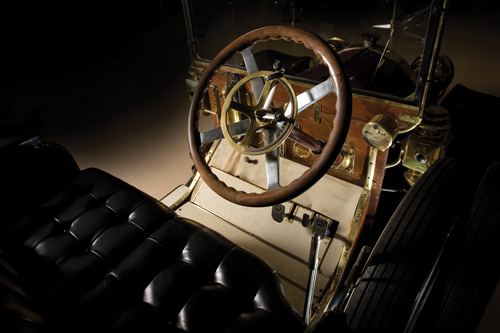 Having raced a Daimler in the 1900 Nice Automobile Week, Jellinek came away disappointed and wanted a faster car. He persuaded the factory to build him this racing car with a light chassis and powered by a 35-horsepower engine. In order to provide incentive to the company, he undertook to order 36 such cars if he were given the exclusive sales franchise for Austro-Hungary, France, Belgium and America. And further that the cars be named after his eleven-year-old daughter Mercedes. 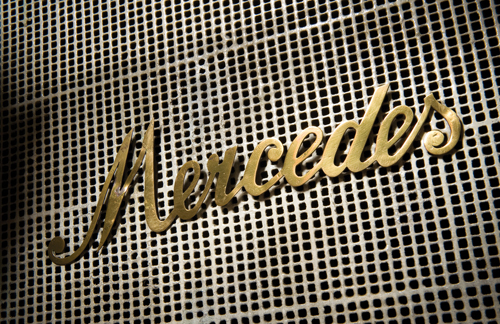 It was a deal that Daimler Motoren Gesellschaft could not refuse and the now famous Mercedes brand was born. Despite the fact that the car is missing its chassis plate, it is believed, with the engine number as a guide line, to be from around 1914. The first owner of this car is unknown, however, it is known that Alec Ulmann, a Russian-born, MIT-educated aeronautical engineer, bought it in 1937. Ulmann, known for organizing the 12 Hours of Sebring races, was an active car collector and early member of the Veteran Motor Car Club of America. The next owner was Charlie Stitch, an ex-Daimler-Benz worker who had opened a mechanical shop in New York specializing in Mercedes cars. The car's precise history after Stitch is not known, but in 1991 it was purchased by a Japanese collector. It returned to the United States six years later, and then went abroad again, to the (no longer existing) Automuseum Deventer in the Netherlands. It participated in the 2000 Concours d'Elegance Paleis Het Loo at Apeldoorn before being purchased by Massachusetts collector Howard Fafard. Last year it was auctioned by RM, but was not sold at a high bid of $221,000.-, so we assume Fafard still owns it. Images and info courtesy of RM Auctions.